Family Fun Nights happen in Fall and Spring each year! Our 2018 Fall Family Fun Night is Friday, October 19. Come to Marshall Road and shop our Book Fair, hang out with friends and make new ones, and enjoy the Roadrunner Community. Food trucks will be on hand for families to purchase dinner. 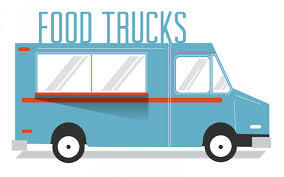 Currently booked food trucks are Spiceworkx, Little Lady Grill, Captain Cookie & The Milkman, Little Miss Whoopie.